NATIONAL HONOURS: Liam Collins (shown here playing senior club league with the Portland Panthers last season) has been selected by the New Zealand Deaf Rugby team to tour Australia later this year. 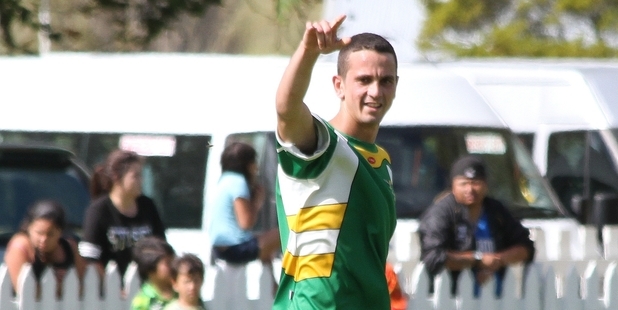 Liam Collins from Kaitaia has been selected to play for the New Zealand Deaf Rugby team which will travel across the ditch to play Australia in a series of tests later this year. Currently residing in Whangarei, 25-year-old Collins represented the Northern Region team at the National Deaf Rugby Championship at Easter. His performances there saw him picked by the NZ Deaf Rugby squad selectors to play Australia in Christchurch earlier in the year. The New Zealand team will tour Japan in November, with each player needing $1500 to put towards the cost of the trip. Collins travels to Auckland most weekends for practice with the national side and while his extended family have been pitching in to meet these costs over the past two seasons, they were also approaching the Far North community to help Collins make the Japan tour. Deaf since birth, Collins attended Kelston Deaf Education Centre in New Lynn, Auckland, until he was 12 then returned to the Far North and began playing age-grade rugby with Te Rarawa. He was also the star of the 2010 Bell Shield final, scoring a last-minute runaway try which secured the Mangonui senior club rugby championship for Kaitaia over Motukohu by 23-18; and was most recently seen by Age readers when he featured in a back-page shot playing fullback for the Portland Panthers league team against Muriwhenua Kuaka in Kaitaia last year.